We’re at the end of the end of 2007/2008 Rugby Season and the Beginning of the 2008/2009 season. Here is my choice of World’s 1st XV. Let us help IRB promote the game in the Olympics .…. YOU CAN DO IT! The IRB is asking all Rugby players and supporters to assist in spreading the message that the sport of Rugby should be included in the Olympic Games. The successful re-introduction of Rugby into the Olympic Games is an objective of the Strategic Plan for the Game as agreed by all Member Unions. 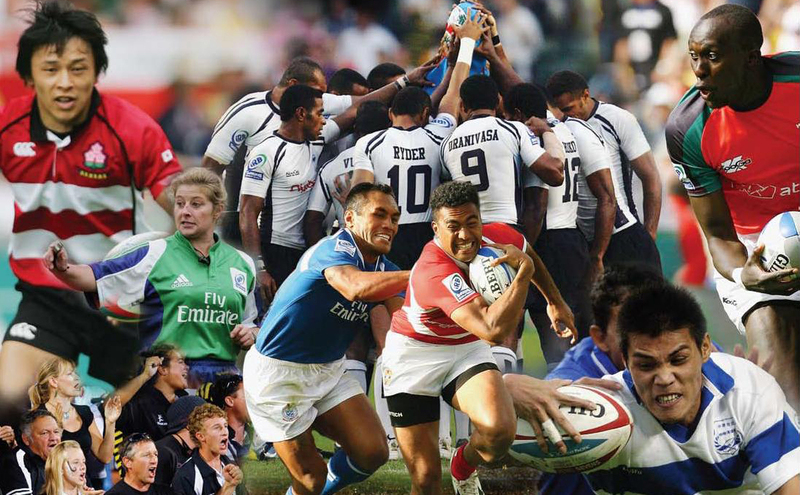 The IRB believes the ideal form of Rugby for Olympic inclusion is Rugby Sevens which has a proven and very successful record in similar multi-sports Games such as the Commonwealth Games. The IOC will vote on which sports to include in the Olympic Games in Copenhagen, Denmark in October 2009. Rugby Sevens would extend the number of potential medal-winning nations in what would be a true world championship. Countries that could aspire to Olympic success in Rugby include Fiji, Samoa, Argentina, South Africa, Kenya and New Zealand. Rugby would increase funds to grow the Olympic Movement, by attracting new commercial partners and spectators. At the same time Rugby would enjoy increased funding and access to facilities from National Olympic Committees as an Olympic sport. Presently we are providing a lot of information to the IOC on why Rugby should be reintroduced to the Olympic Games and you can assist Rugby with this ambition. The International Olympic Committee is asking the general public all around the world for feedback as its progresses its plans for the future of the Olympic Games. The IRB believes that future should include Rugby. The IOC has created a specific website called the Virtual Olympic Congress to record this feedback between now and December 31 this year. Another way of promoting Rugby’s inclusion in the Olympic Games is to write to or contact your National Olympic Committee. Remember to ask the NOC to forward your comments to the IOC members within that country. 20:08hrs 08.08.08 When will our day come? It’s not well known that rugby has been on the Olympic program on four occasions — in Paris in 1900, London in 1908, Antwerp in 1920 and Paris in 1924, with the US being the reigning Olympic Champions. In 1900 in Paris three teams — France, Germany and Britain — entered. France took the gold medal beating Germany 27-17. Germany took the silver beating Britain 27-8 in the only other game, with the Brits awarded the bronze. In London 1908 there were only two teams, Britain and Australia. In the only match, a straight final, Australia won 32-3. In 1920 in Antwerp there were again only two teams, the USA and France. The USA had an unexpected 8-0 win in the only match. Paris in 1924 saw three teams, France, USA, and Romania, enter. Both France and the USA beat Romania in a type of round robin and then played each other in a final at Colombes Stadium, Paris. The USA won the gold with a 17-3 victory in front of a crowd of 30,000. It seems the USA victory was not popular in France. The American anthem was jeered and the match is reported to have ended in an uproar when a walking-stick brandishing French fan attacked one of the American reserves. 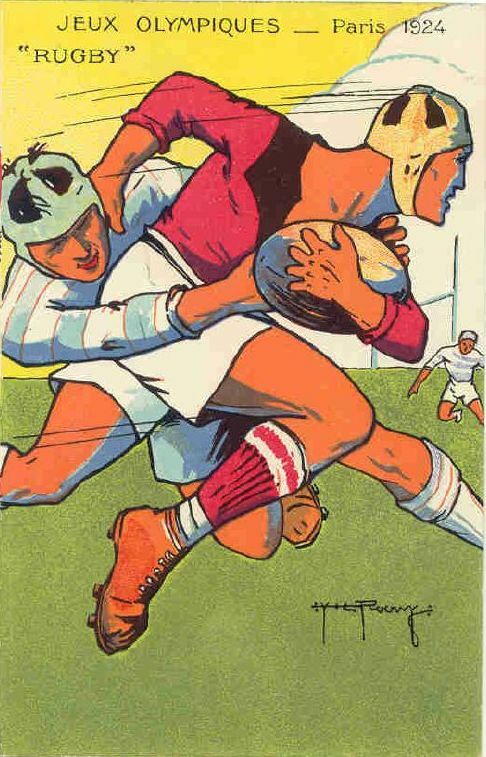 At the Amsterdam games in 1928 the International Olympic Committee turned down a request to include rugby. The reasons thought to be behind the decision were that the IOC sought more emphasis on individual sports; that women’s events had increased the number of competitors; and that the sport didn’t receive the backing expected from the British entries. In 1980 the Soviet Union, and in 1988 South Korea, attempted to have rugby reinstated as an Olympic sport, with the 1988 attempt nearly achieving success. While it would be logistically difficult to hold a full fifteen-a-side rugby competition in conjunction with the Olympics, the popularity of Sevens rugby at the Commonwealth Games has been such that a Sevens competition at the Olympics would surely be a worthwhile addition to the program. Tomorrow, the Olympic torch will set alight again in Beijing for 17 days, and again, there won’t be any Rugby event in this tournament. But, what saddened me most is when the IOC decided not to have Rugby in the 2012 Olympics in London. Rugby World Cup is now the 3rd most watched Sporting event and the 2nd most watched single sporting event in the World, but yet, IOC still refuse to include rugby in. I wonder why? Is it because the Great US of A (they were the defending Champions, mind you! ), Russia, China and the other big nation has no chance winning a medal? Or is it because England, Ireland, Scotland and Wales need to play as team Great Britain? Only they have the answer! Author bruneirugbyPosted on August 7, 2008 August 7, 2008 Categories Bitching, International News2 Comments on 20:08hrs 08.08.08 When will our day come?